If you are new to Chiropractic and curious about how Chiropractic Care can work for you or your family then this short 3minute video clip is just for you. 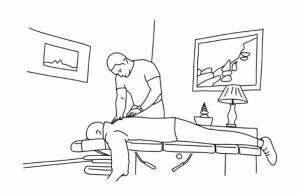 In this clip we outline what Chiropractic is all about, then we briefly explore the evidence informed effects of care. You’ll also hear why a Chiropractor is sometimes compared to a mechanic!